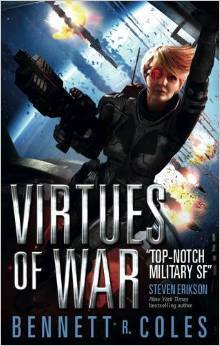 “Virtues of War” by Bennett R Coles is an excellent futuristic war novel centering around the crew of the fast-attack craft Rapier. As the events of the book unfold, you learn that in the future, Earth has colonized many worlds. The book follows the crew of the Terran Ship Rapier through their various missions in what turns out to become a war between the Terran forces, who see Earth as the mother planet, and Centauri Forces whose allegiance is to some of the colonies that were started from the Terran colonization effort. “Ever After” is the final book in the Nantucket Brides Trilogy by Jude Deveraux. 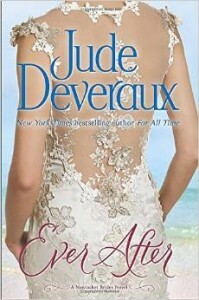 I’ve read the previous two and find that “Ever After” fits in well with the theme. The books deal with couples who meet on Nantucket and who, with a little ghostly assistance, end up finding their happy ever after. The only unusual thing to me was that I didn’t get a feeling of finality at the end of the book. There are certainly enough young men and women in the Montomgery-Taggert clans to keep stories coming into the far future. There are certainly some individuals, such as Todd and Raine, who I would like to have as the main characters in a book. 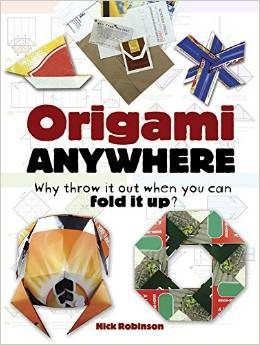 “Origami Anywhere” by Nick Robinson is a fun book of origami patterns which focus on using paper recycled from everyday use. I learned origami as a young child when visiting my friend’s house. Her grandmother could only speak Japanese but she loved teaching origami to both her granddaughter and to me. We would work on a project and, when finished, we were rewarded with a cup of tea and a homemade almond cookie. I loved the two afternoons a week I spent at Jean’s house. “Second Street Station” is the first of the Mary Handley mysteries. It is also the debut novel by Lawrence H. Levy. 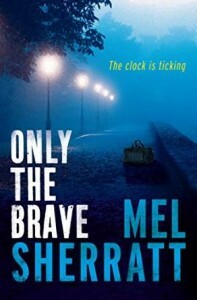 The character, Mary Handley, is loosely based on a real life individual of the same name who was involved in a murder case upon which this story is also based. 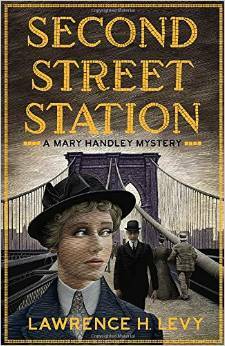 Presumably, future novels will be completely fictional as I could not find further evidence that Ms. Handley pursued her work as a detective following the events described in this novel. Certainly, there is nothing to suggest that she was involved with such personages as Thomas Edison, J.P. Morgan, George Westinghouse, etc. 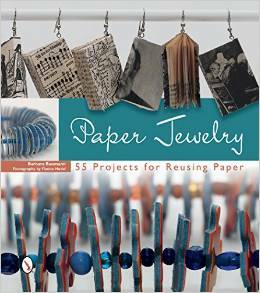 “Paper Jewelry: 55 Projects for Reusing Paper” is the first book I have read which dealt with recycling various paper for jewelry. The author, Barbara Baumann, has included a wide variety of stylish and extremely wearable projects. The recycled paper utilizes everything from old telephone books to cigarette filters to puzzle pieces and even comic books. I have read quite a few of Sophie Kinsella’s adult novels, so I was happy to see that she has written her first YA book. 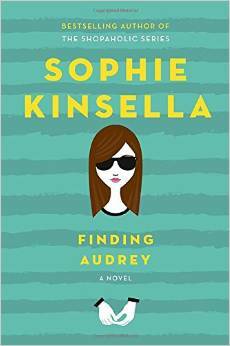 “Finding Audrey” deals with serious issues in a humorous way – this is something that I have come to expect from Ms. Kinsella’s works. Having raised three teenagers, I could absolutely relate to each of the children in the Turner family. I might even be able to relate more closely to their Mum (as I recall a few discussions with my son about spending too much time playing computer games.) While I never thought about throwing a computer out the window (probably because our neighbors were too close), I do remember disconnecting them and hiding integral pieces more than once. 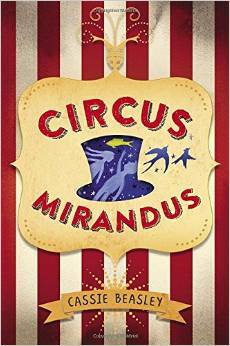 “Circus Mirandus” by Cassie Beasley was a fantastic and magical debut novel. I wasn’t sure what to expect when picking it up but it took me to the same place “Charlie and the Chocolate Factory” and “James and the Giant Peach” did when I was a child. Micah Tuttle is the grandson of Ephraim Tuttle. Micah has spent all of his ten years hearing his Grandpa Ephraim’s wonderful and magical stories of Circus Mirandus and thought that that was exactly what they were: stories. Grandpa Ephraim is now very ill, indeed, and reveals to Micah that the stories were all true. Not only that, but that when Ephraim visited the Circus many years ago, the Lightbender promised him a miracle and that he has called for that miracle to be honored. 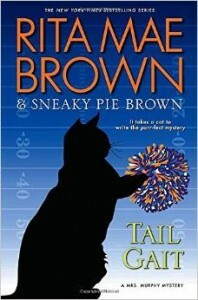 “Tail Gait” is the latest in a long series of books by Rita Mae Brown (and apparently, Sneaky Pie Brown, too.) It is, however, the first book I have read by Ms. Brown. I often read a book out of order in a series to see how readable it is as a stand-alone book but it is rare that I will choose to read a book as far into as series as this one is (number 24.) Interestingly enough, I had no problem picking up the story, the characters, or the plot. As a stand-alone book, it is very readable. I’m sure that I am missing much in the terms of history of the characters but enough is provided by the author to make it still an enjoyable read. 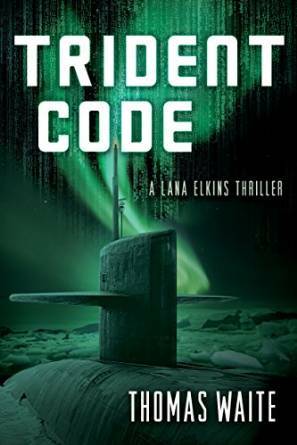 “Trident Code” is the follow up to last year’s mile a minute cyber attack thriller, “Lethal Code”. 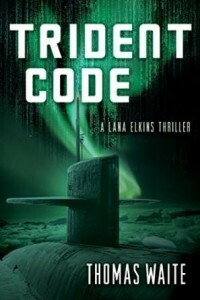 As with the previous book, “Trident Code” was pretty intense and required the reader to suspend reality and to accept some rather unlikely scenarios. While the previous book involved multiple cyperattacks, in this book there is really just one, but it involves a nuclear submarine. Yet again, the US is portrayed as woefully unprepared and once again it is only a handful of heroes who can save the day. To say that this doesn’t seem credible is putting it mildly. However, if you are willing suspend reality and accept the worst case scenarios presented by the author as you read the book, then it becomes a fun race-to-the-end story. This is a fast-paced police procedural that spans a two day period. DS Allie Shenton is at a cross roads in her life. Her beloved sister, who was horribly brain-damaged in an attack seventeen years before, has taken a turn for the worse and may not have much more time. Even though her personal life is at a breaking point, Allie is called in to help solve a puzzling murder. The story takes us through the almost hourly process of finding clues, processing information, and interviewing suspects. We get to see how the picture of the crime is reconstructed from the bits and pieces and how each bit of information reveals the next step in solving the crime.